Three compacts, one simple solution. Each of the five shadows has something different to offer so that you can pull off any look you like. Every shade is long wearing, hypoallergenic and dermatologist-tested, so you know you’re in good hands, beyond a shadow of doubt! 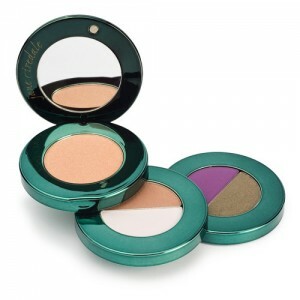 • Each Eye Steppe compact features colors handpicked by Jane to flatter brown, green or blue eyes. No more guessing which shades are right for you!